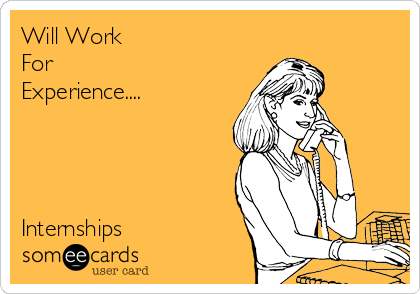 THE MARTINI CHRONICLES: How to Rock Your Internship (And Maybe Get a Permanent Gig)! 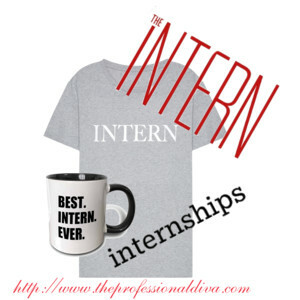 How to Rock Your Internship (And Maybe Get a Permanent Gig)! Greetings Divas! We are right at the beginning of July, and a few weeks into internship season (depending on where you are located on the globe!). All across the country college students, recent college graduates, and professional school students are interning for the summer (or longer). In many cases, these individuals are hoping to transform their internships into a permanent position. Believe me when I tell you that I have been in this position on several occasions. I was once that intern looking for a permanent job after graduation, or, at minimum, a glowing recommendation from my supervisor. So…for those of you currently navigating the intern pool, her are a few tips for rocking your internship and possibly securing a permanent position! 1. Show Up On Time Every Day...Which Means Arrive Early – “Who does that!” is the question many of you asked when you read this one. While this may seem like a no-brainer, you’d be surprised how many interns kill their chances of obtaining a permanent position by showing up late. You are doing yourself a disservice by showing up to your internship late. Not only are you being extremely unprofessional, but you are sending a signal to your supervisor that the internship is not important to you. Additionally, tardiness is the first cousin of unreliable...and neither one of these relatives will be invited to the next family function. The rule of thumb remains the same: to be early is to be on time; to be on time is to be late; and to be late is unacceptable. 2. Show Interest In the Company - Ask questions about the company. Learn about its history. Be familiar with its products. Let your supervisors know that you are interested in the company, and that you are personally vested in its success. You do not want to give the impression that the internship is merely a resume-filler...those who approach an internship in this manner rarely get a permanent offer. 3. Always Turn In Stellar Work Product - You do want a permanent position, right? So do great work! Give your superiors no other choice but to offer you a permanent position. Treat each assignment like your professional life depends on it. Ask enough questions so that you have all the necessary information to complete your assignments, and be sure to hand them in on time. If the company you are interning with is not in the position to offer you a permanent position, your supervisor may be willing to give you a recommendation if your work product is fabulous! 4. Attend Company Events - Many companies are known to have special activities and events for its interns. Barring any real emergency, you should attend all of these events. Not only is it a great way to network and meet other key company players, but it is also the perfect opportunity for company employees to get to know you...to gauge how you would fit in with the current employees. Enjoy these events, but also treat them like an extension of your internship...remember that you are always being evaluated! 5. Adhere to the Dress Code and Other Company Policies - During your internship, you want to be recognized for you stellar work product...not for your inability to abide by company policies. And certainly not for your inappropriate work attire. Make it a point to review your company's dress code and other policies to ensure that you are giving your supervisor the right impression...that you respect the company's culture and that you are willing and able to abide by its policies. 6. Resist the Urge to Surf the Web – Perhaps this should have been number 1 on my list! I know this is difficult, but please avoid using the company computer to surf the Internet for non-work-related content. You should especially avoid the Bermuda Triangle of Social Media: Twitter, Facebook, and Instagram. Even more offensive…exploring the Bermuda Triangle all day from your personal phone. As a general rule, you should review and commit to memory your company's Internet use policy, if they have one, and you should strictly adhere to it. 7. Keep in Touch When Your Internship Is Complete - When your internship is completed, keep in touch with your supervisor and other company employees that you worked closely with during your tenure. Be sure to send them thank you cards when your internship is done, and exchange periodic correspondence. If the company is not in a position to offer you a permanent gig at the end of your internship, keeping in contact with company employees is a great way to ensure that you are "kept in mind" if and when a position becomes available. I think that’s all! Good luck on your internships; and hopefully it leads to bigger and better things.